EPRO was founded in 1993 by David Polk and his partners. 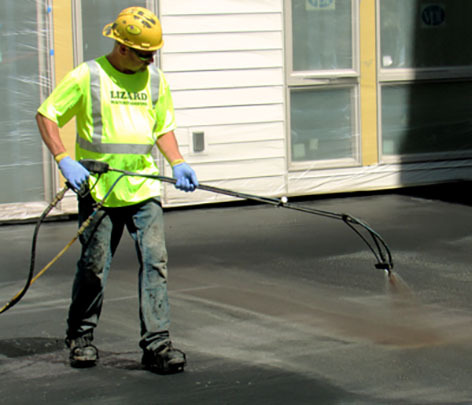 With backgrounds in various foundation products and the advent of a water-based, spray-applied polymer modified asphaltic emulsion, our founders recognized an opportunity to provide owners, architects, consultants, and contractors with superior waterproofing and contaminant protection solutions. Driven by a passion for making a positive impact on the building envelope, EPRO grew quickly as its systems were refined and a track record of success was established. 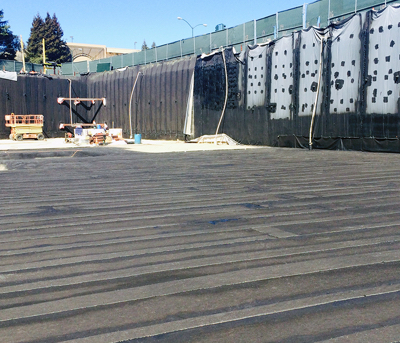 Fabricating waterproofing and contaminant protection systems in the field and seeking to maximize redundancy provides the best building envelope protection. This is a proven method EPRO calls Redundant Field-Installed Composite Design. Minimize the number of seams. Fully adhere the system to the substrate. Utilize multiple waterproofing materials to create redundancy. Create value through efficient installation methods. Our method enables professionals to address the widest variety of conditions, ranging from simple low-risk foundations with nuisance water, to complex foundations with hydrostatic conditions and contaminated soil or groundwater. 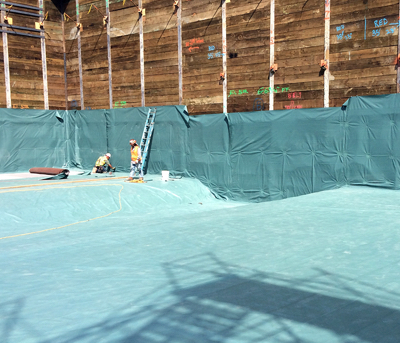 Also, these membrane systems may be pre-applied to seal foundation slabs or shoring walls, and in post-applied applications to freestanding concrete walls or podium decks. When it comes to EPRO’s success, superior products is only half of the equation. The other half is our deep commitment to providing our customers with world-class service. This means being available and responsive to you and your needs. It means listening carefully, working diligently to help you solve the challenges you face in the field, and innovating new products to meet the demands of modern construction. EPRO’s promise is to always provide you with the best possible solution for your project needs and be there for you throughout the process. We support our products with the best warranties in the industry, and we use our nearly 25 years of experience to ensure that each project is a success.